In Erin Kelly’s The Dark Rose, Louisa Trevelyan is living a smaller life than the one she had as a rebellious but privileged teen growing up on the outskirts of London. Then she was prone dramatics, random dabbling in esoteric sciences and brief love affairs, but twenty years later she is still hiding out from the aftermath of an affair with a passionate young musician, and a secret so dangerous that she spends her life channeling her energy and talents into garden and estate restoration. Working on a project at Kelstice Lodge, she meets Paul Seaforth, a young man taking part in a rehabilitation program for youthful offenders and waiting to give testimony as the star witness for the prosecution in the murder trial where he will he testify against the man who bullied him his entire life, his best friend. Louisa and Paul bond and start a relationship, each finding a need satisfied in the other, but their time together is threatened by both their pasts, which can’t stay hidden or forgotten for long.I loved Erin Kelly’s debut novel, The Poison Tree, and I was even more impressed here with her ability to create atmosphere and tension as she reveals the lives of her damaged, needy and long suffering characters- each of whom is well-drawn, complex and with secrets begging to be uncovered. 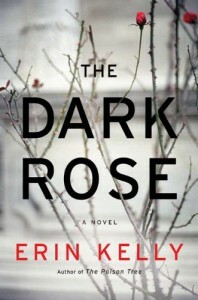 The Dark Rose is a quiet novel, and Kelly slowly unravels Paul and Louisa. The events that have formed them are revealed in a jumble of flashbacks that become clearer and more horrific as pieces of the puzzle fall into place. I like that you get to know their families and friendships, and have a rich sense of who they were because it makes their approach and relationship to and with each other understandable, and eventually beautiful. 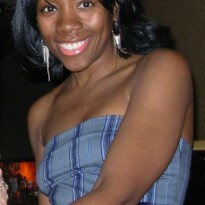 I usually can see the twists and turns coming, but even I was in shock by the way Kelly wrapped this one up. Highly recommended.